Stuart Holman is a 1990 graduate of the Walton School of Auctioneering and he has quite an extensive and diverse background. Stuart spent 10 years in the music industry songwriting, arranging, recording and playing; specializing in rhythm and blues. This was to be one of the springboards to his auctioneering career. Following this, he spent eleven years as a blacksmith on the thoroughbred breeding farms surrounding Lexington, Kentucky, caring for special horses that belonged to the Queen of England, as well as Seattle Slew, a Kentucky Derby winner. Due to health problems, Stuart left his profession and made the transition to becoming an auctioneer. 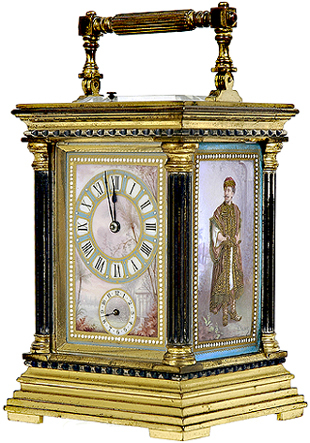 Always interested in antiques auctions and flea markets, his passion began as a youngster. Stuart had an aunt and uncle with an antique shop outside of Washington, D.C. called “The Swap Shop.” Stuart would bring his wares to their store on family vacations to the area, in hopes that someone would buy them. He describes his uncle as “an animated, gregarious guy who smoked a pipe and loved to haggle with people.” That was very appealing to him. 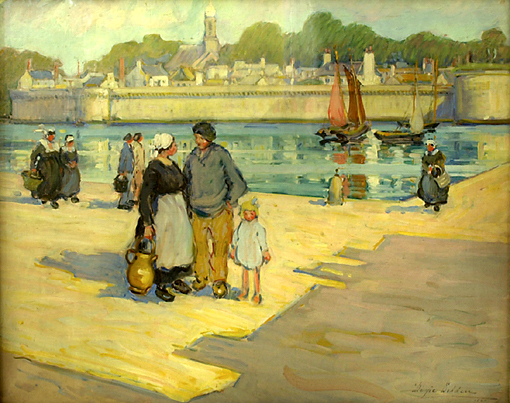 In later years, Stuart acquired a three-year position at a major auction gallery, which pointed him towards acquiring his auctioneer’s license. This pathway has led him to his own very successful auction firm in Cincinnati, Ohio. His business specializes in paintings, art pottery, silver, porcelain, glass, musical instruments and items from the Victorian and Arts and Crafts periods. 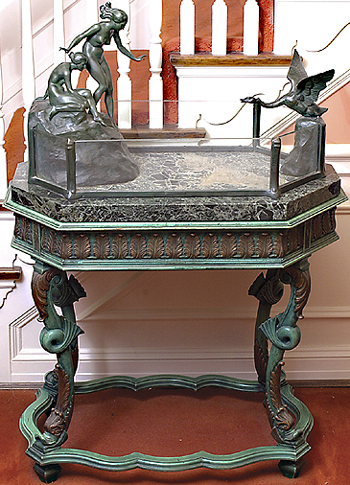 The merchandise that comprises his antique auctions is acquired through the following channels: “empty nesters,” dealers, shop owners, interior designers, collectors who want to upgrade their collections, and private individuals with an item or two that need to find a new home. He often works with attorneys and estates. Stuart describes his most outstanding auction as a dispersal of the contents of a fine 16 room house. He conducted the appraisal for the estate which included over 2,300 items. The highest selling item that Stuart ever sold was an Edward Potthast oil on canvas painting, that sold for $137,500. 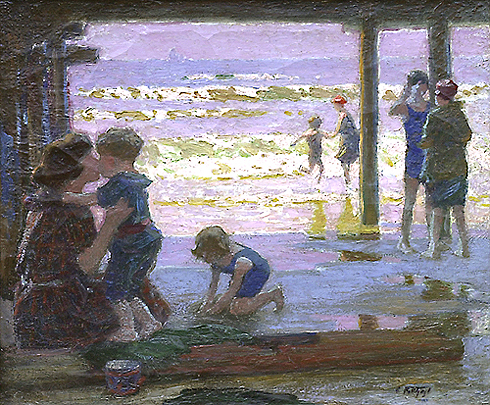 beach scene painted by Edward Potthast. Stuart made the statement early in his career that “if he sold what he liked, he wouldn’t be in business very long.” Stuart’s passion is cutting edge modern design, and he has quite an extensive collection of Czechoslovakian Art Deco pottery from the 1920s and 1930s. 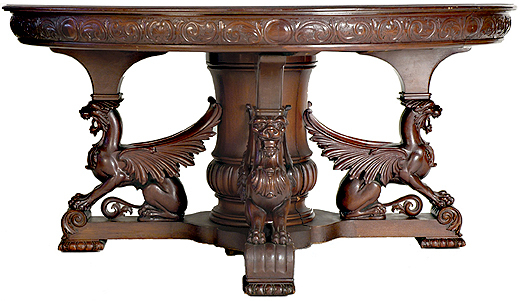 carved mahogany dining table with winged griffons. Stuart conducts two nationally recognized “Select Auctions” per year, in April and November. He also conducts estate, specialty and on-site auctions as they pop up. From personal experience, consignments are handled with high regard for ethical standards, and with great attention to detail. Stuart’s staff members are all hard working, dedicated professionals, helping the operation to run smoothly. Marketing is handled with professional photography, mail and email databases, color brochures, large ads in major trade papers, an active website, and personal contacts with collectors and buyers worldwide. 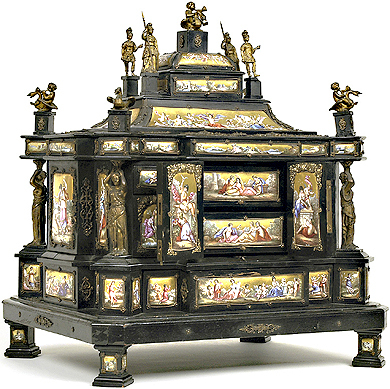 Prior to the antique auction, your items are safely and securely stored and insured. For his two “Select Auctions,” Stuart is connected to EBay Live, the world’s largest online auction site. Through eBay Live, participants bid on antique auction items in real time, over the Internet. The strategic advantages of eBay Live include; no time constraints, bids can be placed in advance 24/7, there are no geographical constraints and the large number of bidders encourages more sellers, which in turn encourages more bidders. The auction method has been around forever. Auctions can be traced back as far as 500B.C. An auction is a method for determining the value of a commodity that has an undetermined value or variable price. Auctions can be conducted with reserve or “absolute” (with no reserve). In reserve auctions there is a minimum bid or reserve price. If bidding does not reach the minimum, there is no sale. If an auction is absolute, every item is sold to the highest bidder regardless of price. Stuart Holman offers other various services including, estate dispersal, personal property appraisals, consultation with attorneys as an expert witness and he also offers real estate through the auction method. There are many benefits to selling real estate through the antique auctions method. There are no contingencies in the auction contract. The buyer purchases the property “As Is.” The seller selects a date, and can plan from the sale of that date. Over the years, Stuart has seen a multitude of changes in the auction business. Influencing factors include the internet, our ever changing economy, personal debt, and expandable income. 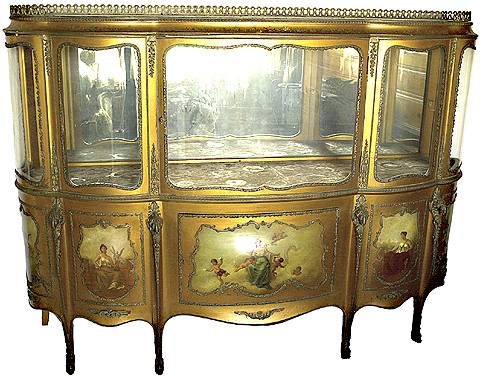 hand decorated vitrine was sold for $13,500. 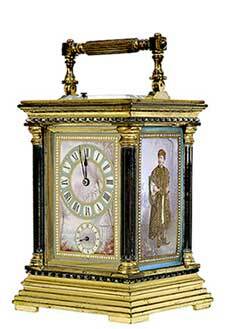 To have a successful antique auction, many factors have to fall into place at the right time. These are all governed by the expertise of the auctioneer. Stuart told me that within the first five lots of the auction he can “predict with virtual accuracy how strong the sale is going to be; whether people are sitting on their hands, or if there is vitality in the room.” Stuart has mastered certain auction techniques that can get a crowd moving if things are slow; he knows more than one “chant,” and he will break into a different chant in order to liven things up. Sometimes he will physically change position by moving off of the podium, and begin walking around the room, just to hold bidders interest. Towards the end of the sale, he will turn his microphone off and interact more closely with the audience to keep them acknowledging their bids in a way whereby each person feels a “specialness” just being present at his sales. By setting a fast pace and using quick wit, Stuart creates an entertaining evening for all! IMAGE: Stuart Holman set a world record for Cincinnati artist Dixie Selden,	when he sold this fine oil on canvas at $49,500. What actually happens at an auction? Most auctions throughout the country contain the same general elements. The first and perhaps the most important is the preview. This is a time prior to the start of the auction when potential buyers may inspect the items offered in the auction. Since auctions offer no guarantees, it is imperative that auction attendees use this time wisely to determine the items they want to bid on, and how much they are willing to spend. The next major event of the auction is the actual start of the auction. At this time the auctioneer will introduce himself and his staff and explain the terms and conditions of the sale. The terms and conditions will most likely include the fact that items in the auction are sold “as is, where is” with no guarantee. Other terms may include, forms of payment accepted, the fact that bidders must be registered, when pick-ups may be made, payment of sales tax at the auction, and so forth. Be patient and stay focused, there will be some bargains at every antique auction. Let them be yours! There is the thrill of the hunt! Hunting is as old as mankind, and his quest for whatever he wanted; food, shelter, tools, weapons, a mate. In our society today, where everything is readily available, most people know nothing about hunting. Auctions offer a treasure hunt! The array of goods to be found provides the hunter with plenty of action and excitement! 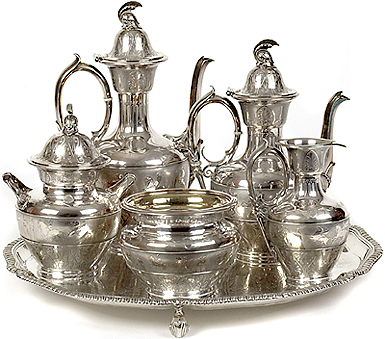 The adjective that best describes the offerings at an auction is “unique.” When pieces are unique, desirable or otherwise valuable, eager bidders compete vigorously for them. These are the treasures that shine in many auctions. 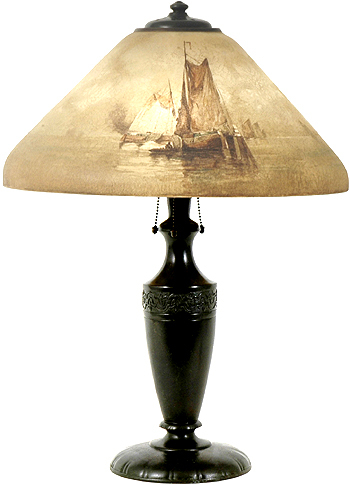 It is safe to say that there are thousands upon thousands of one-of-a-kind items at auctions. Objects you will not ever find in a suburban strip mall, you never knew you wanted, and suddenly you cannot live without them! Auctions offer a great deal of value. Whether you are looking for your next antique or house to put it in, there is no place like a live auction to get a great deal! If you love Victoriana, now is the time to buy, because of the softness of the market. 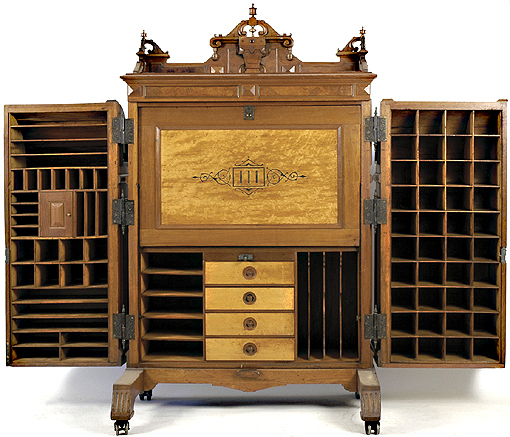 Quality Victorian furniture has never been cheaper than in today’s auction marketplace. There is nothing like the thrill of the chase at an auction. If you are a sports fan, you know the feeling when the game is on the line and it is do or die for your team. Your palms sweat as the excitement begins! Stuart offers words to the wise to anyone thinking of becoming an auctioneer, “What makes a good auctioneer,” he says, “is honesty, treating your clients fairly, doing business ethically and lots of hard work!” Anyone who chooses to participate in one of Stuart Holman’s auctions will have auction stories to tell and relics of a lifetime to cherish! 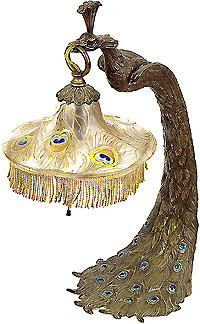 Check Stuart Holman’s web site for upcoming details for his antique auctions. You won’t want to miss it! Annie Kramer is a Montessori teacher certified in grades Pre-K through 3rd grade. She holds a Masters from Bryn Mawr College in Clinical Social Work, along with a Bachelors Degree in Human Services and Counseling, plus an Associates Degree in Early Childhood Education. Annie also loves the Victorian era, and has a business on the side called Opulent Annies, doing design and antique searches for clients.